Algiers Nov 1942, Tunis June 1943, Malta June 1943, Sicily July 1943, Salerno Sept 1943, Taranto Nov 1943. Bombay Nov 1943, Secunderbad Jan 1944, Palel (Imphal) May 1944, Nainital June 1944, Tamu (Burma) Oct 1944, Darjeeling (India) May 1945, Toungoo (Burma) July 1945. 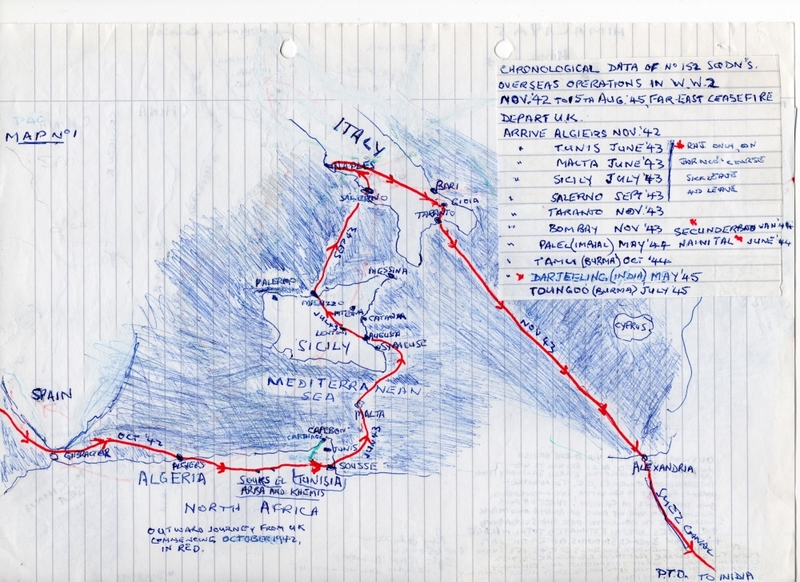 Outward journey via North Africa and Italy in Red also return to UK. Arriving Southampton early January 1946. Intermediate journies, E.G. 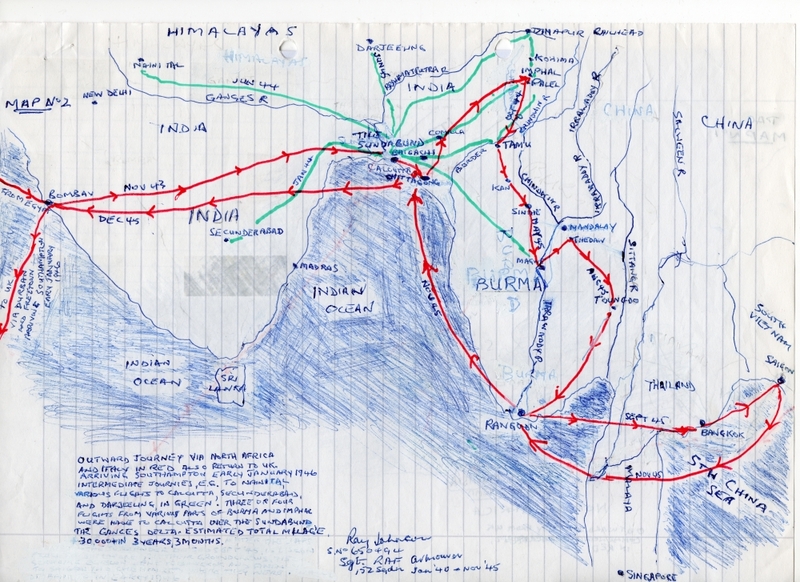 to Nainital various flights to Calcutta, Secunderbad, and Darjeeling in Green. Three or four flights from various parts of Burma and Imphal were made to Calcutta over the sundabund the Gances Delta. Estimated total milage 30.000+ in 3 years, 3 months.